The Matchsellers are Warsaw, Indiana native Andrew Morris and Julie Bates of Kansas City, Missouri. Their exciting, gritty, and often hilarious stage show has been developed over half a decade of constant touring across the US and Europe. 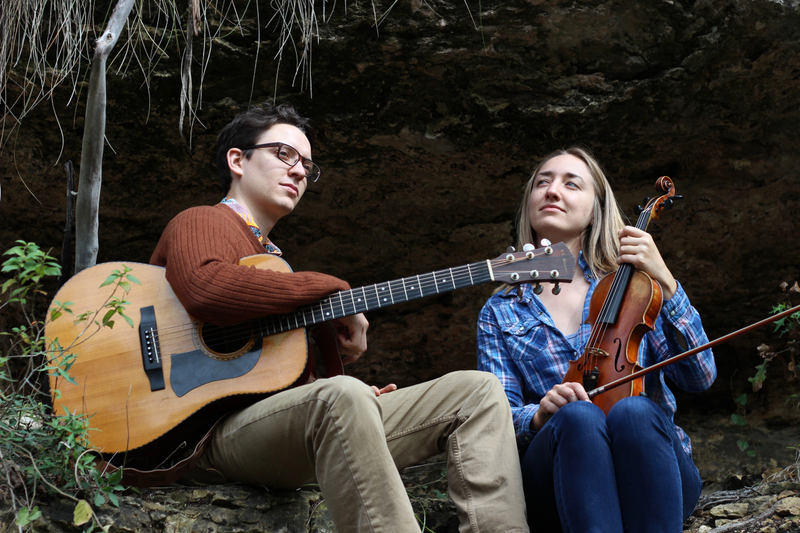 The two met while living in Germany and began exploring traditional American music from abroad. In their subsequent travels through the States, they collected influences from various regional styles of American folk music. While a focus on humor and absurdity permeates their show, they are dedicated interpreters of tradition whose excellent musicianship, songwriting and taste are never overshadowed. They have been featured on various NPR and international radio stations as well as blogs including The Bluegrass Situation, Dying For Bad Music and more. Recent notable performances include an Official Showcase at Folk Alliance International (MO), The Red Dirt Ball (OK), John Hartford Memorial Festival (IN), Boulevardia (MO), Beaver Island Music Festival (MI), Kendalville Bluegrass Festival (IN), Bluegrass Battles Hunger (MO), Old Mill Fest (TX) among others. The Matchsellers’ new album Bluegrastronauts to be released in March 2018, is old-time in outer space. It’s a far away galaxy as close as your first cousin. It’s a 100,000 mile an hour horse-and-buggy. After almost 5 years of life on the road and 2 full-length albums under their belt, The Matchsellers teamed up with Chad Graves (of the Hillbenders) and Betsey Beymer to complete this project of extraterrestrial bluegrass. They've been called the hottest traditional bluegrass band around these parts, so if you like bluegrass you won't want to miss this one. 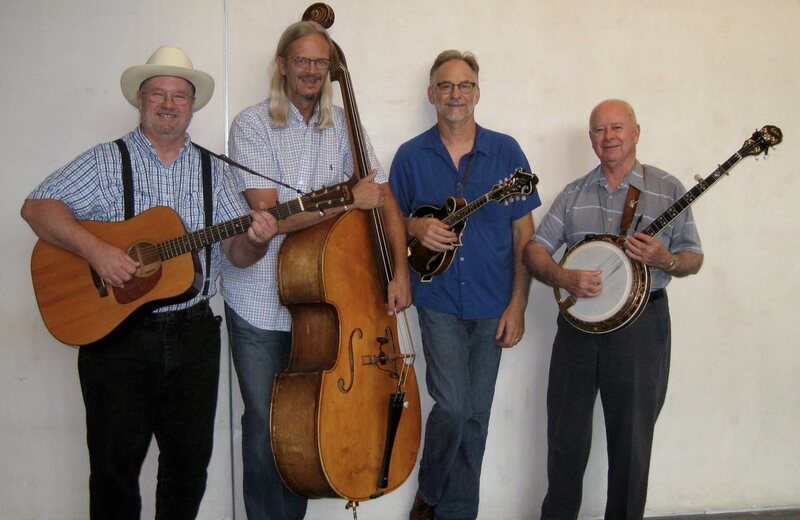 Scott Tichenor (mandolin, vocals) will be joined by Brett Hodges (guitar, vocals), Neal Hudson (acoustic bass) and Jim McGreevy (banjo, vocals)for an evening of great bluegrass. Long ago (1985) and in a far-away place (Nashville), three of the members of this band called themselves "Last Kansas Exit" and won the international Bluegrass Band Contest. Featuring Traditional American String-band musicians Steve Goeke and Jesse Graber of Kansas City, this masterful duo simulataneously charms, entertains and enthralls – all the while managing to play a wide variety of tunes & songs on the fiddle, banjo, mandolin & guitar. 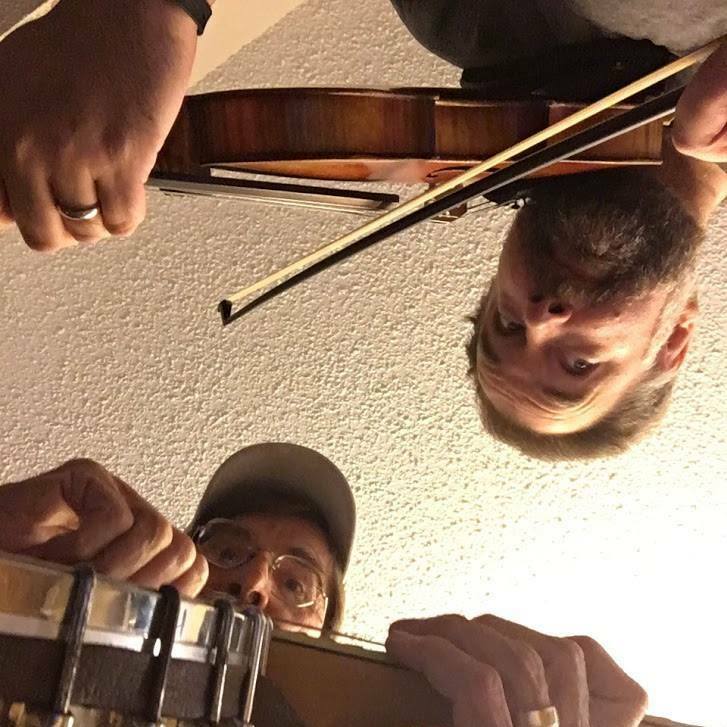 Their music connects directly to the souls of kind-hearted folks from near to far, as is clearly evidenced by this unsolicited Facebook comment: "I enjoy hearing these guys play. Their music is great, and I love their humor as well." If you like to hear fiddles and banjos expertly played in the "old time" style, then this concert is for you! Imagine your favorite classical compositions being born again as virtuosic and creative arrangements with bluegrass musicians. Picture the works of Bach or a Spanish ballet from 1893 reinterpreted using the ecclectic instruments of Americana. 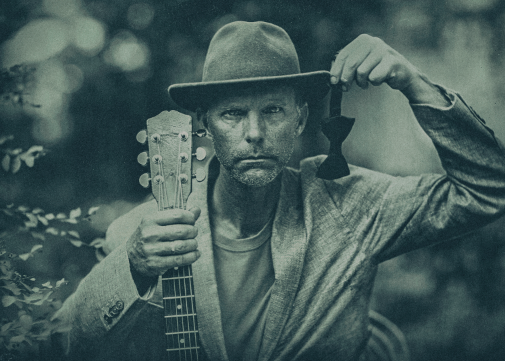 The idea for this musical journey came to classical guitarist John Svoboda one day when he decided to play some J.S Bach on an old Gibson blues guitar. With the objective in mind to “take the bow tie out of classical music and instill it with a groove,” this collaborative performance will feature Svoboda, Sky Smeed, and Mike and Katie West (of Truckstop Honeymoon) harnessing their collective talents as they come together under the moniker No Bow Tie. Svoboda's experienced command of his instrument as well as the creative interpretations by his collaborators are sure to touch the hearts of music lovers of all walks of life. and more! Enter your information below.